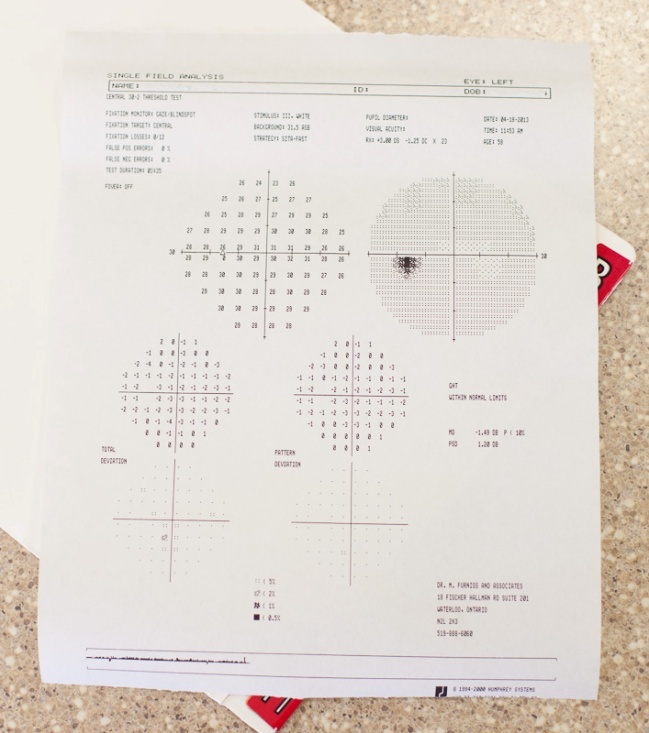 A measure of your visual field provides the doctor with valuable information, which may help in the diagnosis of several conditions. 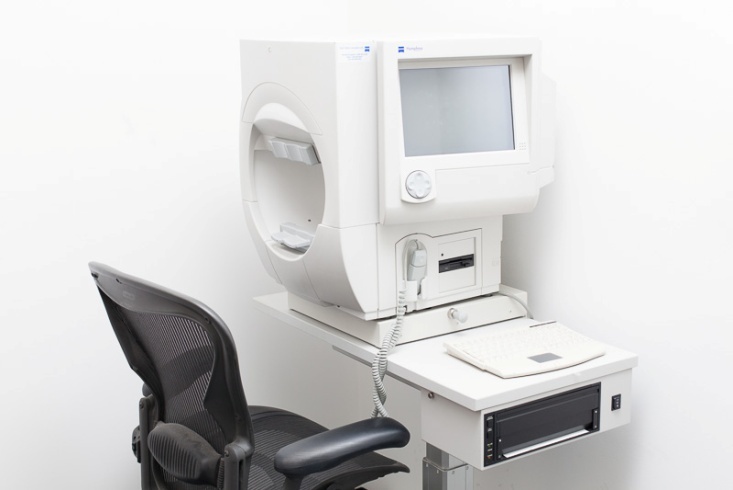 The most common condition, where a visual field is routinely used, is to detect and monitor the progression of glaucoma. It can also be used to check for other conditions such as a stroke, multiple sclerosis, brain tumours and more. The field analyzer primarily assesses nerve conduction (i.e. how information is sent from the eye to the brain). Small lights are shown in different areas of your peripheral and central vision. Areas of weakness, or decreased sensitivity, are plotted out. 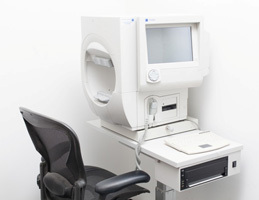 The computerized visual field analyzer plots the field of vision, using threshold testing and compares it to age related normals. Depending upon where the loss of vision occurs, it can help in the diagnosis of a disease. The results are directly available and our doctors provide you with the outcome either that day or within a few days.